I don’t think there’s a better taste in the whole world than that of an oyster. I’m obsessed, and enjoy seeking out the best oysters in London. Of course, it’s much easier when autumn arrives and oyster season officially commences (every month that ends in ‘r’). Even a nasty bout of food poisoning from oysters a couple of years ago hasn’t put me off. Increasingly, dining options have become swayed by whether a restaurant offers oysters on the menu. 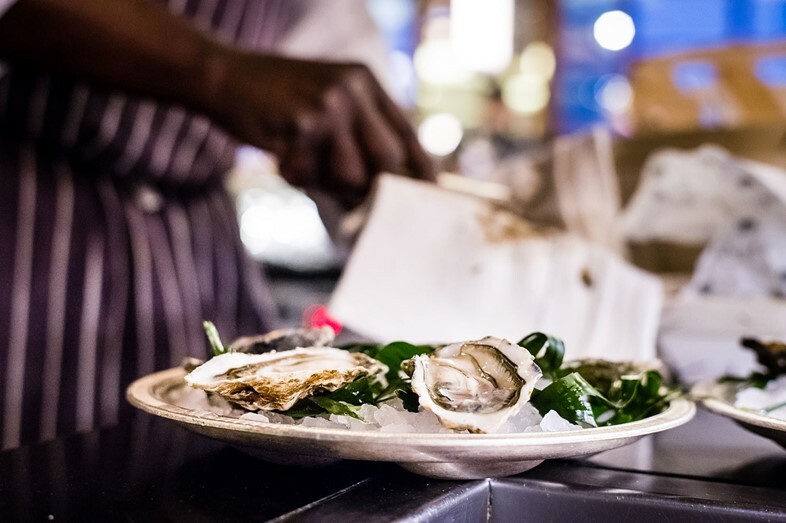 But it’s not just the taste that makes the delicacy so appealing – it’s the activity itself, from the brilliant word “shucking” to the visual appeal (wondrous meaty texture and glistening shells), to oyster accoutrements (small forks and silver platters). There is no other food that gets the special kind of treatment that an oyster does – often presented on a shimmering bed of ice, and buddied by muslin covered lemon. In some places, they even get their own bar – normally only a privilege reserved for alcohol. Head chef Peter Weeden is a champion of British seafood, sourcing all fish and shellfish from small independent suppliers who fish responsibly and sustainably. This week sees the return of OysterFest, a four-day festival that runs until Saturday 10 October. The champagne and oyster window will serve a selection of Native and Rock oysters by the box with champagne from 5pm each evening. An oyster brunch menu will be served on Saturday 11 October, between 10-5pm, including Oysters Rockefeller, Angels on Horseback, Steak and Oyster Pudding, and deep-fried oysters. 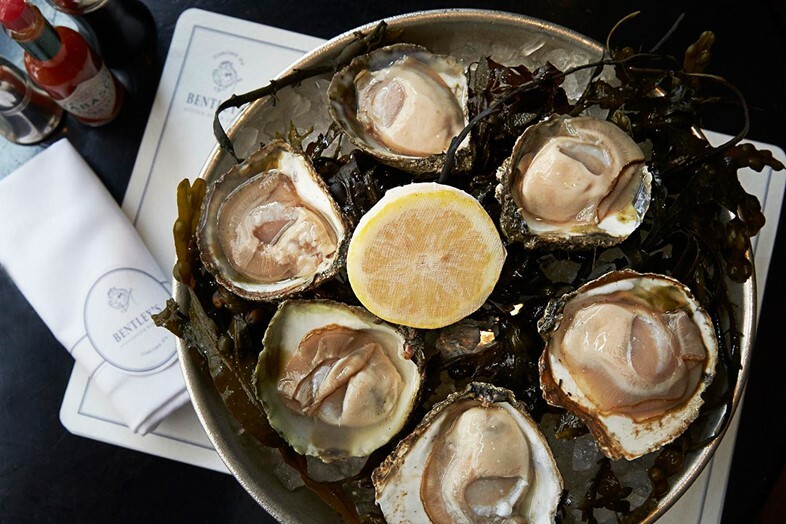 Headed up by esteemed Australian chef Brett Redman and Margaret Crow, The Richmond’s menu is based around oysters and comfort food and boasts East London’s first and only raw bar, serving several types of oysters and clams. Oyster Happy Hour runs Monday-Friday 6pm-7pm and Saturday 5pm-6pm, including six types of oysters. Oyster shooters are also highly recommended. (Also visit the Wright Brothers for Oyster Happy Hours, 5-6pm and 10-11pm Wednesday-Saturday). 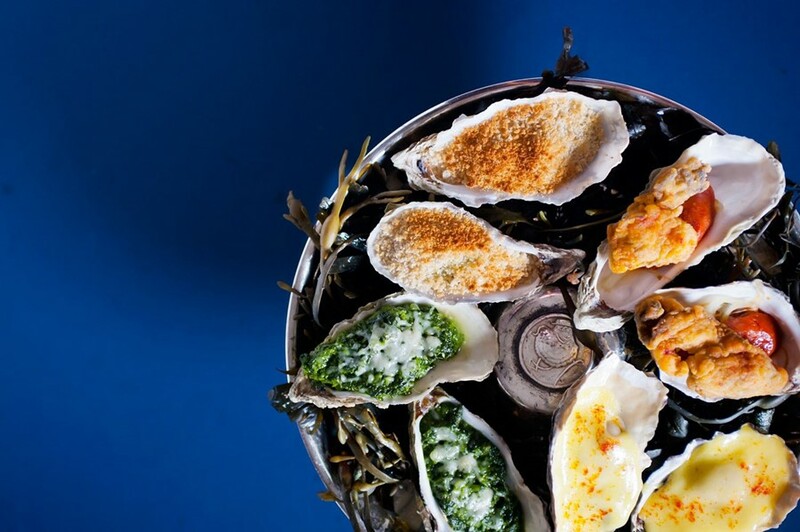 Earlier this year, chef Nuno Mendes added an oyster cart to his brilliant food offering at André Balazs’ Chiltern Firehouse. Situated in the courtyard, a rolling variety of oysters are offered including the favourite Gillardeaus oyster from France. Accompaniments include the infamous Firehouse Hot Sauce and glasses of champagne. With its illustrious 100-year heritage, this feted seafood restaurant finally opened the doors of its Oyster Bar in 2008. 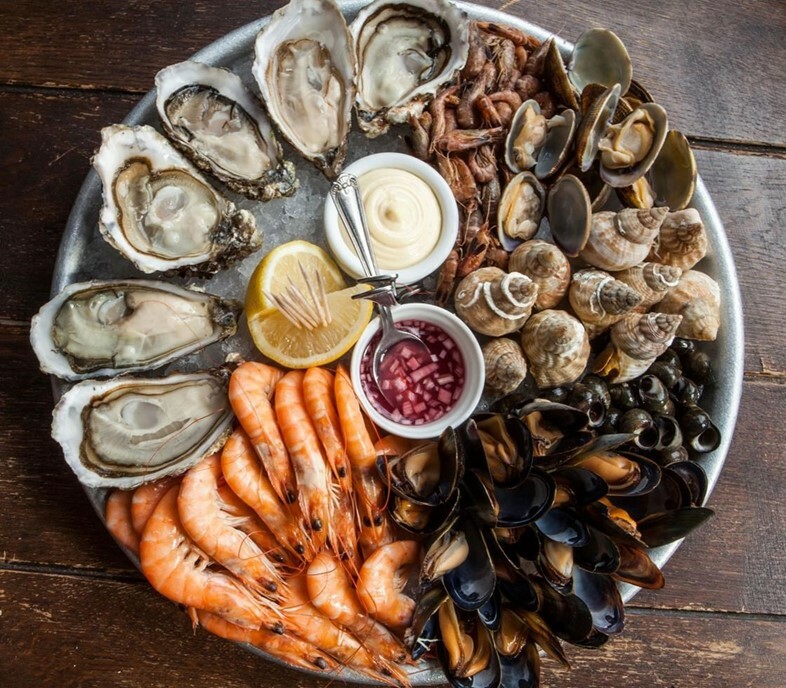 A firm London favourite, it is open from midday to late every day, and specialises in shellfish and small plates. Sit at the bar and talk oysters with the informed and charming staff. What better way to start your Sunday Roast than a selection of oysters? The Prince (Stoke Newington) and The Draper’s Arms (Islington) are both independent, neighbourhood pubs offering oysters on their Sunday lunch menu, followed by sharing meats that will delight Sunday Roast aficionados. If you fancy oysters on the street, look for the Oyster Boy at Broadway Market (Saturday) and Columbia Road (Sunday) from around 9-4pm. Conor John Pearson has been shucking and eating oysters all of his life and started his stall three years ago, catering at private events and shucking at the aforementioned Chiltern Firehouse. Situated in Greenwich Penisula, Craft London is a project by Stevie Parle and Tom Dixon which combines a restaurant, café, cocktail bar and shop, focusing on British craftsmanship. 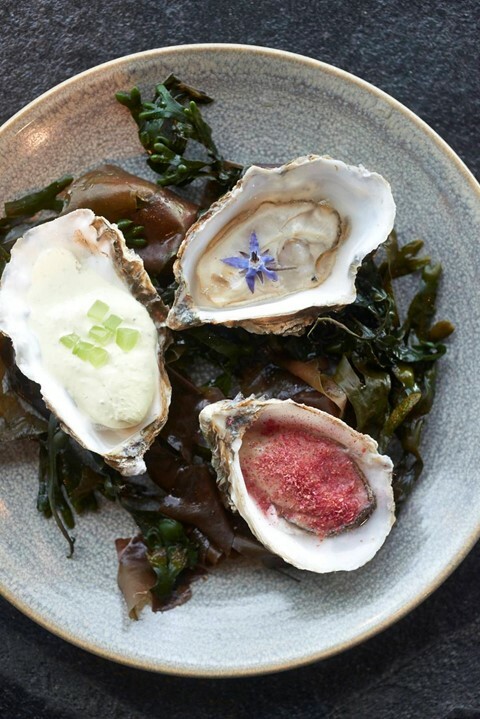 Try three native oysters topped with cucumber, borage and rhubarb – quintessentially British ingredients are all produced by the chefs in house or as locally sourced as possible. 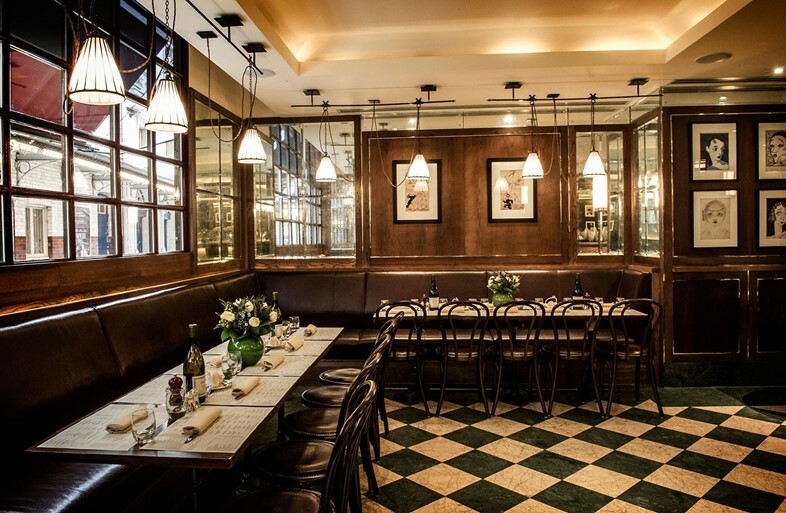 Mayfair seafood restaurant Bouillabaisse is focused on bringing sustainable fishing practices for London’s restaurant heartland. They serve the finest Gillardeau oysters, produced by the Gillardeau family for the last 110 years in the south of France. These oysters have a full fatty quality with a naturally sweat and salty balance, and are often referred to as the world’s finest. Be sure to try oysters in the shell grilled with a parmesan and chedder cheese sauce, like a mini fish pie.